A Pacific hagfish (E. stoutii) maneuvering through a slit with a width of 7.0 mm. 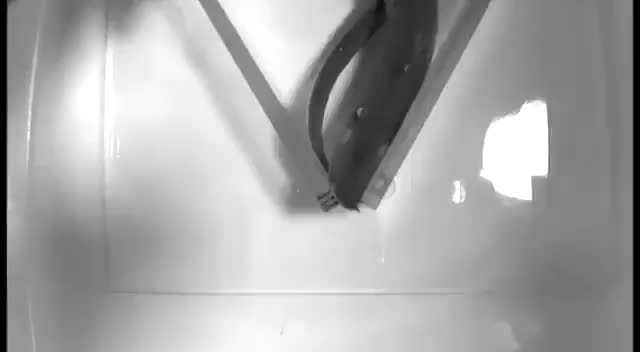 In this video, the hagfish makes repeated attempts to pass through a slit with width equal to half its body width and is eventually successful. This video, recorded in the lab, illustrates some of the behaviors described in Table S1.